how botanic gardens measure success. To gather data, an online survey was sent out by BGCI in early 2017 and a literature review of botanic garden annual reports was undertaken to gather further information on how gardens measure success. In total, the technical review incorporates data from over 200 botanic gardens in more than 50 countries. All gardens, big or small, should have strategic plans as they are important for informing people on what you do and are essential management tools. Information published by botanic gardens should reach a wide range of users - particularly practitioners conserving/managing plant diversity in broader society. Botanic gardens should measure impact not just outputs. Demonstrating environmentally sustainable practices is essential. All gardens should have documented, aspirational career ladders for specialised staff. 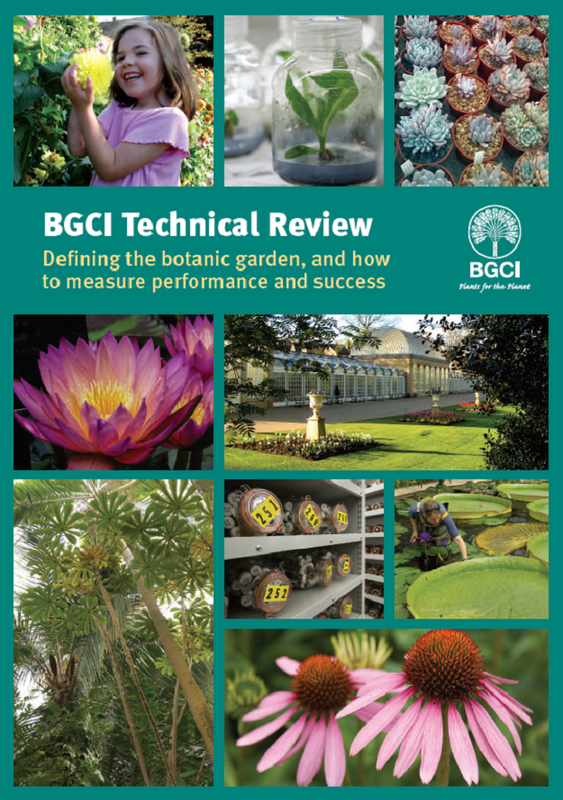 BGCI's first technical report is now available to download here.